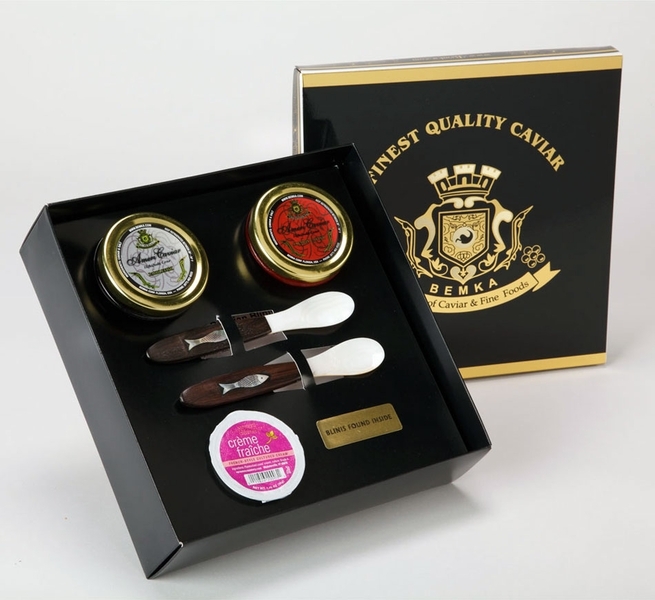 Our Caviar Gift Box includes a package of blinis, creme fraiche, and two caviar spoons. 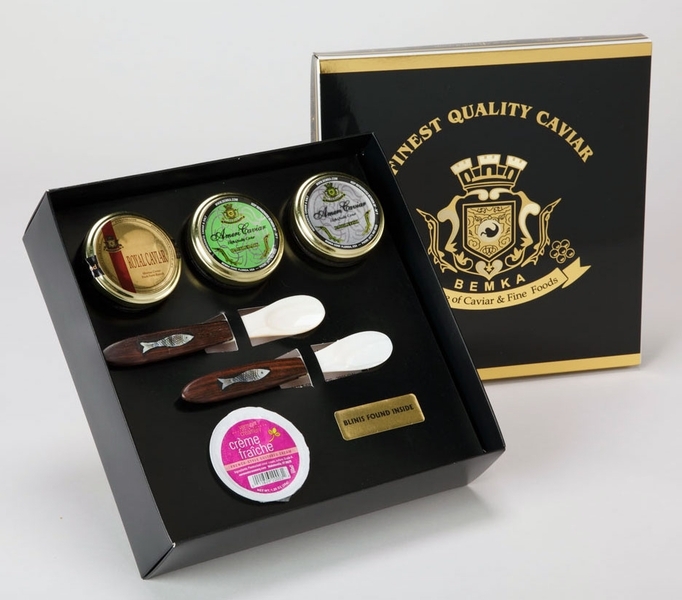 Caviar Gift Box includes: Royal Imperial Caviar 1 oz, Imperial Russian Ossetra Caviar 1 oz, Royal Siberian Ossetra Caviar 1 oz, Mother of Pearl Spoons - 2 pcs, Russian Style Blinis 36 count, Creme Fraiche 1.25 oz mini tub. 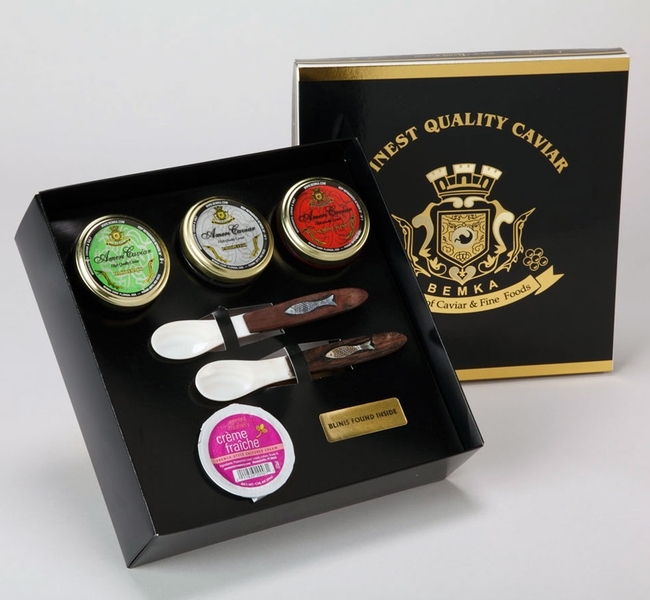 Caviar Gift Box includes: Royal Siberian Ossetra 2 oz, Crown Russian Ossetra Caviar 2 oz, Mother of Pearl Spoons - 2 pcs, Russian Style Blinis 36 count, Creme Fraiche 1.25 oz mini tub. 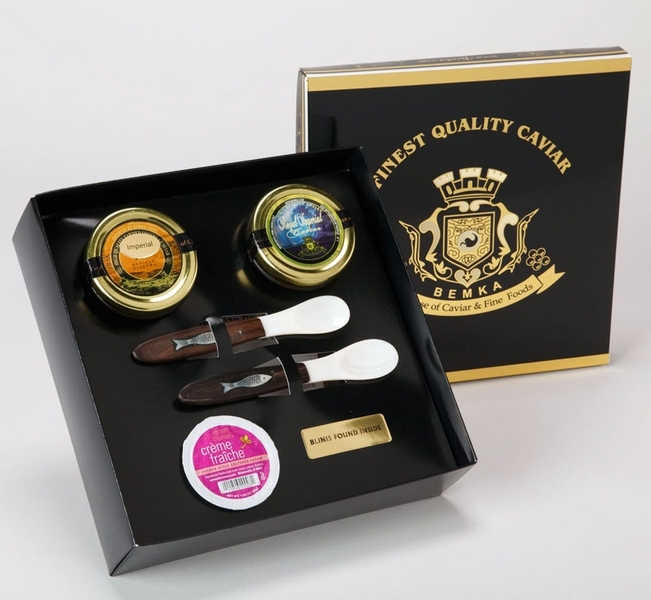 Caviar Gift Box includes: Royal Imperial Caviar 1 oz, Crown Russian Ossetra Caviar 1 oz , Royal Siberian Ossetra Caviar 1 oz, Mother of Pearl Spoons -2 pcs, Russian Style Blinis 36 count, Creme Fraiche 1.25 oz mini tub. 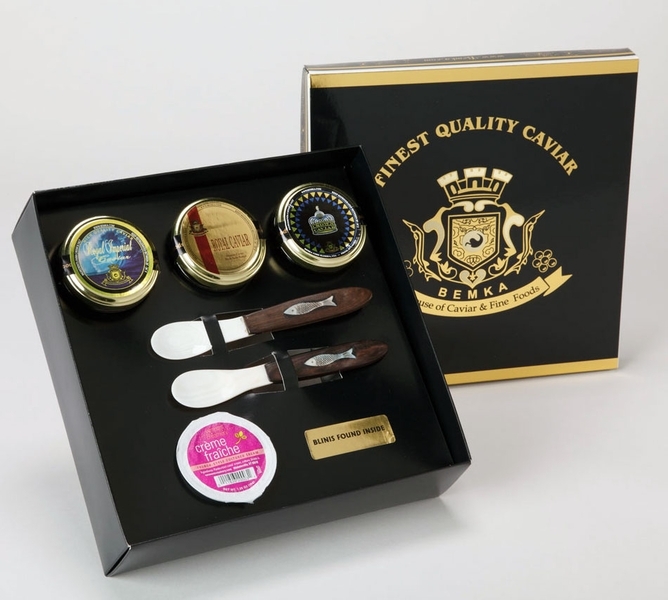 Caviar Gift Box includes: Royal Siberian Ossetra Caviar 2 oz, American Hackleback Sturgeon 2 oz, Mother of Pearl Spoons 2 pcs, Russian Style Blinis 36 count, Creme Fraiche 1.25 oz mini tub. Caviar Gift Box includes: Royal Siberian Ossetra Caviar 1 oz, American Hackleback Sturgeon 1 oz, American Paddlefish Caviar 1 oz, Mother of Pearl Spoons - 2 pcs, Russian Style Blinis 36 count, Creme Fraiche 1.25 oz mini tub. 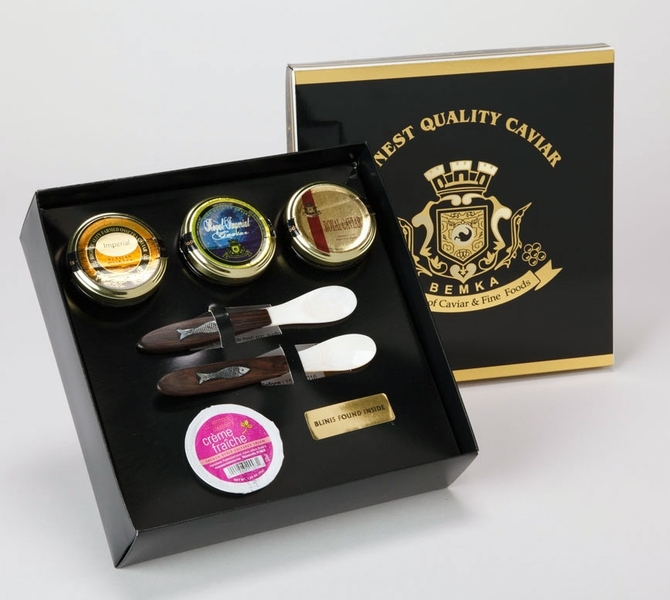 Caviar Gift Box includes: American Paddlefish Caviar 2 oz, America Salmon Caviar 2 oz, Mother of Pearl Spoons - 2 pcs, Russian Style Blinis 36 count, Creme Fraiche 1.25 oz mini tub.